Looking for maintenance tips to keep your car battery running like new? Many car owners are keen towards auto parts and their maintenance. However, battery gets the least attention. Many car owners replace it if they hear clicking noise or battery dies. If you want to avoid battery running out, then there are lots of things you can do it. Here are some tips that will help you keep it running like new all throughout the year. With little efforts, you can save your money and conserve battery life. It is essential to feed your battery with right water. Nowadays, newer batteries are available in the market which does not need to be topped off with water. However, some people are still making use of older batteries which require such services. Such batteries need more water to function correctly. Never use any old water source. Some people use tap water. It is very poor choice. Keep in mind that tap-water can sometimes include different minerals which can be harmful for the system of battery. Bottled water or distilled water can be better choice to enhance battery life and keep it running like new. This can avoid corrosion and it will run more smoothly and efficiently. Try to avoid putting excessive stress on the car battery. If you do it repetitively, then it could lead some serious issues. When you car jumps another car, the shock charges occur in your battery. It can be beneficial to avoid such stunts as much as possible. Allowing the battery to run down repetitively can be another thing that will be hard on your battery. Many car owners leave their vehicle going when the car engine is off. 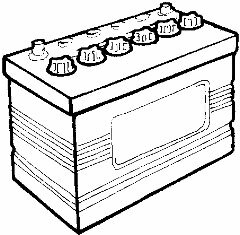 Your car battery is capable to power the lights or radio over the short run. When you attain the point where car battery needs to be jumped off, you are simply putting excessive stress on it. Obviously, this will cause a negative lasting impact on car battery life. When it comes to battery life, corrosion is prime concern. Steady corrosion will affect battery's performance. It will simply drive it closer to death. 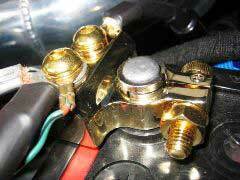 When harmful stuff builds up around the battery terminals, it will cause corrosion. Battery terminals are made up of lead. Therefore, they are more likely to damage if not properly maintained. You should be keen towards cleaning these terminals at the time of servicing schedules of your car. Cleaning the battery terminals, will make them perform at the highest level. Further, the battery will be less likely to develop cracks which can hamper its ability to function in the long run. You just need to remember few things to keep your car battery running like new. With all above tips, you can it easily and quickly. So, what are you waiting for? Start your quest to conserve car battery life and keep it running efficiently and smoothly in the long run.